But let’s not diminish the fact that you can now get quad-core performance in a 2.5- pound laptop. As we said, this Dell XPS 13 is truly the best one yet. The Ultrabook concept was announced by Intel at Computex 2011. This new generation of notebooks would use low power Intel processors, have an extremely thin profile and could also include certain tablet functions. We’ve seen a huge number and variants of Ultrabooks by many manufacturers in the first wave of these ‘MacBook Air-killer’ devices. 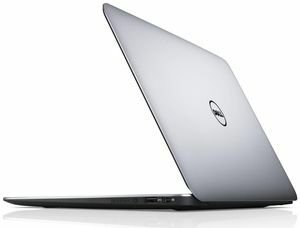 Dell seemed to take it slow and only released their first Ultrabook in the first quarter of 2012. While most manufacturers decided to brand their Ultrabooks under new names and with many variants and sizes, Dell used its already prominent ‘XPS’ range to market theirs with just one size. The Dell XPS 13 certainly turns heads. Like its bigger brother, the Dell XPS 14Z, it has a curvaceous silver aluminium body with a reduced chassis size for its screen. This makes it real compact even for an Ultrabook. Dell had managed to squeeze a 13 inch display into what they say is an 11 inch body. In reality, it doesn’t really get to that but it is close enough and is definitely smaller than all the other 13 inch Ultrabooks. The XPS13 has a carbon fiber bottom covered with a thin rubberized coating making keeping the laptop firmly in its place when typing. The bonded Corning Gorilla Glass display gives the display a slightly more solid feel. 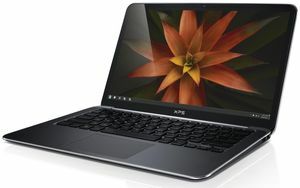 Dell offers the XPS 13 for 999 € onwards same as the Asus Zenbook UX31 which is its main competitor. However, its 1366 x 768 display resolution is noticeably lower than the when compared to the 1600 x 900 panel on the UX31. Advantages of the XPS 13 over the UX31 include its backlight keyboard, more responsive keys and a smaller size.